It was a November night to remember when light snow fell across North Texas. 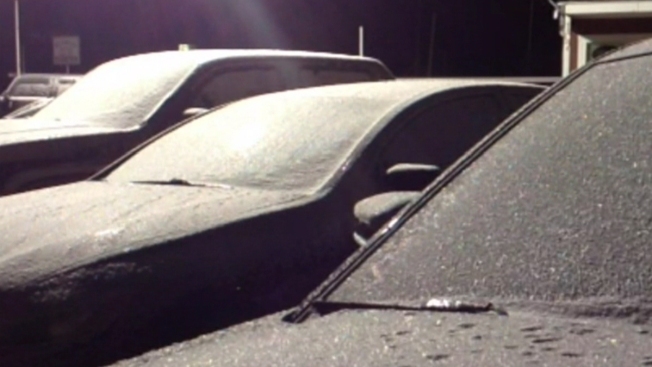 A cold blast brought snow from Dallas to Denton, Fort Worth to Frisco on Sunday night. The dusting to trace was enough to cover lawns and roofs but not stick to roads. 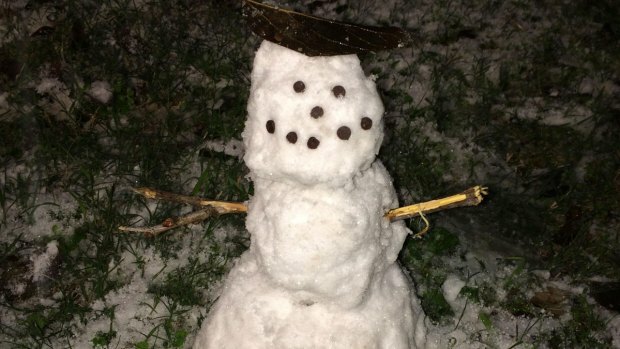 A band of snow made its way through Dallas just after 9 p.m. Sunday, lasting for about 40 minutes in the city. A Texas Department of Transportation official said they already pre-treated many spots in Collin, Denton and Dallas counties earlier in the day, but would keep a close eye on roads and bridges, which are prone to freezing faster. Additional TXDOT crews are on standby in case road conditions worsen. There was not enough snow to accumulate on highways and the weather had little impact on traffic, but there was a thin coating of snow on some surfaces. Three brief bands of snow moved through Decatur Sunday night. Moisture remaining from those bands of snow dried on most roadways, but Texas Department of Transportation spokesman Val Lopez said crews treated bridges north of Decatur as a precaution. There are no reports of ice south of Decatur in Wise County. The North Texas Tollway Authority told NBC DFW Collin County Reporter Catherine Ross that 24 NTTA trucks monitored the roads late Sunday to spread de-icer if needed. Most of the snow that fell in Frisco also stuck to grassy areas and parked cars. The snow fell from 8:30 p.m. until about 10:30 p.m.